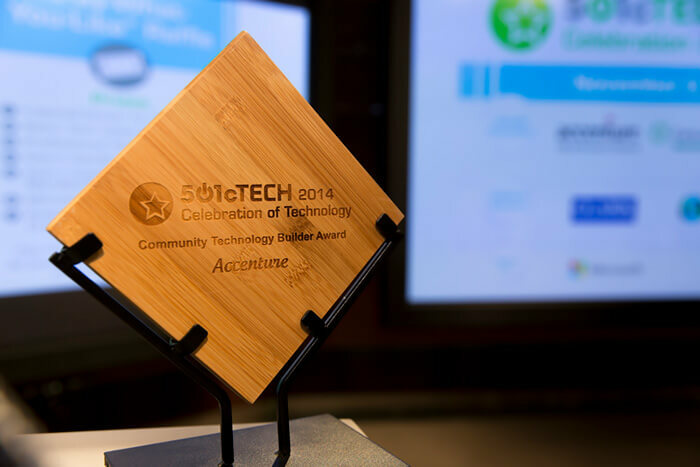 Background: 501cTECH empowers nonprofits through technology. 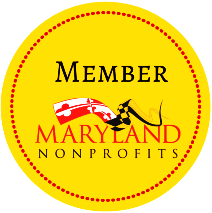 Each year, they hold an event, Celebration of Technology, where they give out Technology Innovation Awards to three DC-area nonprofits that submit the best ideas for tech innovation in specific categories. 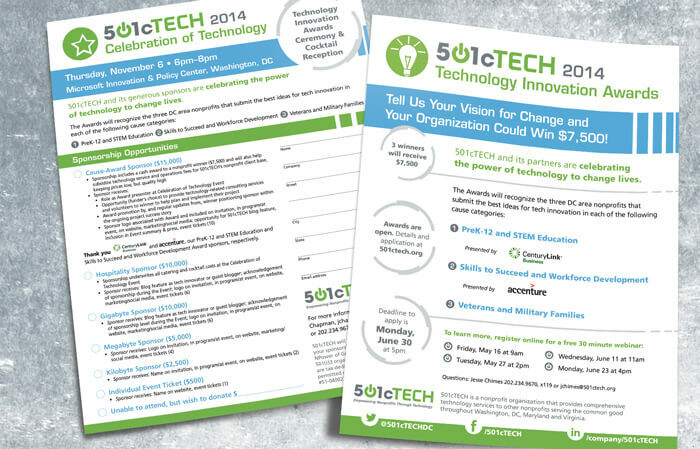 Problem: 501cTECH needed a modern, fresh look for the logos and promotional materials. However, the event and awards logos needed to incorporate the 501cTECH logo and the year, with only the latter changing each year. We used the colors from their brand to retain recognition with the new look and avoid alienating their existing audience. Solution: In the past, the logo had included a light bulb, so we decided to incorporate an updated, illustrated light bulb as a design element in the print materials. This imagery, along with the colors from their brand, allowed for a new look while maintaining a look the audience was familiar with. 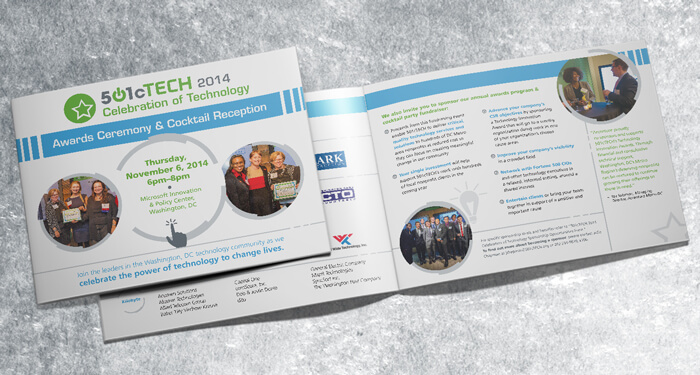 The design work contributed to a 75% increase in RSVPs, a 65% increase in attendance and an 80% increase in revenue.